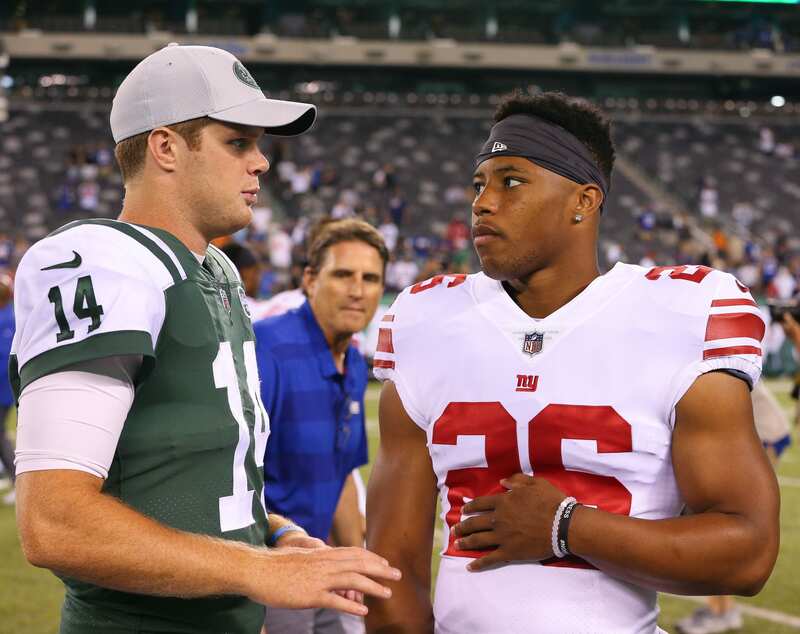 Home New York Giants Could the New York Giants Trade Picks With the New York Jets? There are several reasons the New York Giants could leap-frog up to the No. 3 pick in the 2019 NFL Draft, and it mainly revolves around Oklahoma quarterback, Kyler Murray. However, Alabama defensive tackle Quinnen Williams could also be worth it. The Jets would be a great trade partner, being that they currently don’t hold a second round pick. Being that the Giants utilize the 3-4 scheme, relying on three down lineman, Williams offers immense value alongside B.J. Hill and Dalvin Tomlinson. Featuring the Alabama workhorse in the middle of the line would allow the defensive front to take over offensive lines and apply pressure on the quarterback, especially because Williams draws two players and that might not even be enough. Let’s be honest, the Giants aren’t going to trade up three spots for a defensive lineman – considering the plethora of defensive talent available. This deal would revolve around grabbing Murray and revolutionizing the offense into a multi-faceted monster that mobilizes off of Kyler’s playmaking ability and Saquon Barkley’s massive calves. The duo would virtually be unstoppable. Applying a quarterback that has the ability to sling the ball 65 yards downfield with ease but also run a sub 4.4 40-yard dash would be destructive…of opposing defenses. You might be wondering – Murray didn’t run the 40-yard dash, but he did mention his previous time a few years back. Being that his body’s developed and his speed doesn’t seem to be lacking, we can assume his speed land somewhere in the 4.4-4.45 range at the very most. Those kinds of wheels change games in the blink of an eye, and is worthy of a trade up given his application into the system is smooth and painless. The idea would be to sit Murray behind Eli Manning and allow him to develop an understanding of how to prepare at the NFL level and further refine his technique. It would only be beneficial, as the team can push the limits of his body and find a proper playing weight for him. What would the New York Giants have to trade away to move up three spots? According to Drafttek’s draft pick value chart, the Jets’ selection is worth 2,200 points and the Giants’ 1,600. Theoretically, the Giants would have to trade their second-round pick and a third rounder to move up three spots. This would potentially be sacrificing a good player and a developmental pick. General manager Dave Gettleman grabbed Will Hernandez in the second round in 2018, so we know how much he values that spot. However, if Murray impressed them during his private interviews, he could be worth it ten times over. With only eight days left until draft night, we will soon find out.